Don’t Look Back, the definitive retrospective collection of short stories by John Gribbin is now available to pre-order from major eBook retailers. Many of the stories in this collection were originally published in Analog and other magazines. Some were precursors to John’s classic novels Innervisions, Double Planet, The Alice Encounter and Father to the Man. As well as 23 Science Fiction short stories, three of which John wrote with his son Ben Gribbin, this collection includes two Science Fact essays on subjects beloved of science fiction authors and readers. In one essay, John provides scientifically accurate DIY instructions for creating a time machine; and in the other, he argues that the Moon is, in fact, a Babel Fish! 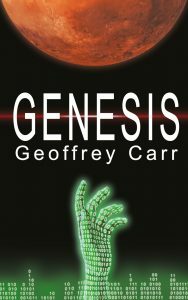 A real scientist writing science-fiction with real science ￼￼￼￼￼￼– what more could one ask? John Gribbin is a visionary, ￼￼￼￼￼￼￼and one heck of a good storyteller. Complementing John’s stories is the fantastic cover designed by legendary space artist David A. Hardy. 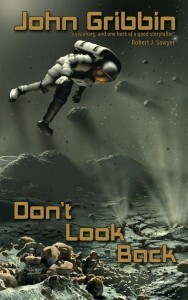 Don’t Look Back will be published in eBook formats on the 5th May and in paperback on the 7th August. 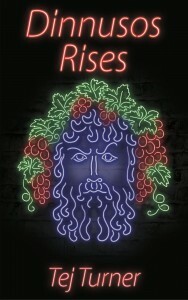 We are delighted to be publishing Dinnusos Rises today, the second novel by Tej Turner. 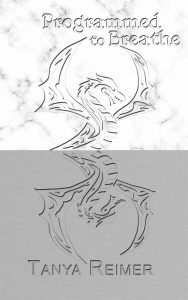 Set in the same urban landscape as his debut novel The Janus Cycle, and featuring some of the same characters along with new voices, Dinnusos Rises is a modern-day fantasy with a sharp tongue and a hard heart, but a profound soul. Dinnusos Rises is a standalone sequel and does not require the reader to have previously read The Janus Cycle, but fans of The Janus Cycle will be pleased to catch up with some of the characters they have met before. The vibe has soured somewhat after a violent clash in the Janus nightclub a few months ago, and since then Neal has opened a new establishment called ‘Dinnusos’. Dinnusos Rises is available from today on all major eBook platforms. 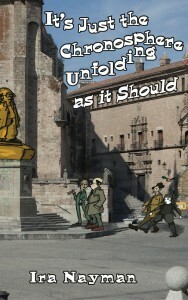 It will also be available in paperback from 10th July. What are you waiting for? Buy it now and get reading straight away. You won’t regret it. 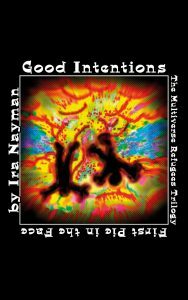 It’s Just the Chronosphere Unfolding as it Should, being the fourth novel in Ira Nayman’s increasingly improperly named Transdimensional Authority series*, and featuring Time Agency agent Radames Trafshanian, is now available in paperback. When Time Agency agent Radames Trafshanian is not trying to impress her good friend in the Transdimensional Authority, her very special friend, if you know what we mean (and, if you do, could you please tell us, because we’re not entirely certain…), she is busy trying to solve crimes against time (that is, crimes that are themselves against time, not trying to solve them against time – she’s not on the clock… well, she sort of is, but you know what we mean don’t you. You don’t? Well then, you’ll have to read It’s Just the Chronosphere Unfolding as it Should to find out). In this novel, which is not nearly as parenthetical as the previous paragraph may have led you to believe, we accompany Radames on her latest case, followed by her previous case (time travel’s like that) and on the way we find out much more about the origin of the Time Agency itself and why it’s organised like a Library, which is very timely (see what we did there?). Featuring guest appearances by Noomi Rapier, Elvis Presley and Margaret Atwo–. 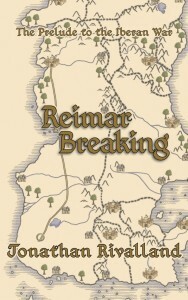 Today we are publishing Reimar Breaking by Jonathan Rivalland. The Prelude to the Iberan War, it is the first book in an exciting new fantasy series set on the world of Brisia. 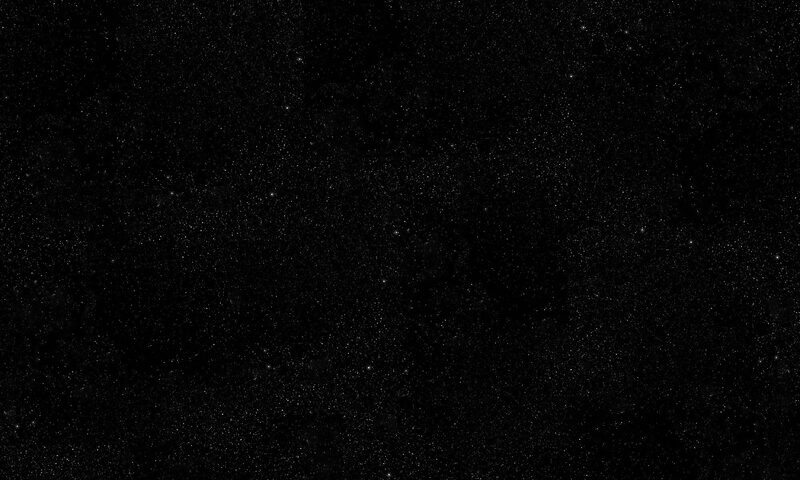 Of all the known worlds, of all their nations and all their peoples, there is little rarer than the Helions. Each of these ancient structures is a vast, freestanding portal to other worlds; made by an unknown hand long before humanity arose. Those who control one can claim vast wealth by means of trade and movement through these portals. 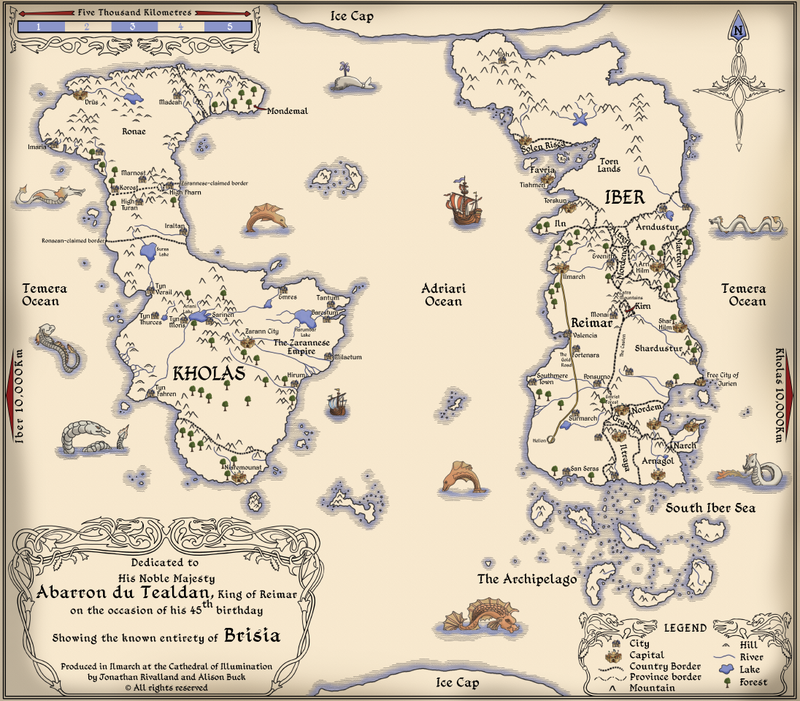 And on the world of Brisia, it is controlled by the nation of Reimar. Through both scheming and conflict, Reimar won out against its competitors to claim the territory in which the Helion stands. But Reimar’s rivals do not sit idle, and should widespread conflict break out between the more powerful nations, even the smaller countries have grudges to settle. Now there are signs of an imminent rebellion, especially among the younger members of more distant noble houses, and some of those rival nations are eager to take advantage of such internal distractions. Princess Siera du Tealdan has shown herself to be a strong and innovative military commander, while her older brother Ramiros enjoys life at the court of their father King Abarron du Tealdan. When the situation in Reimar takes a shocking turn for the worse, Siera’s military expertise is desperately needed. With no mercenaries available for hire, Siera must pull off a miracle. Having only one skyship armed with ballistae and an under-strength Royal Guard, she must fend off the rebellion, while at the same time dealing with Reimar’s old enemy Iln, that has declared an opportunistic war in order to raid and pillage across the border. If the rebels gain control of the Helion, the kingdom will suffocate. 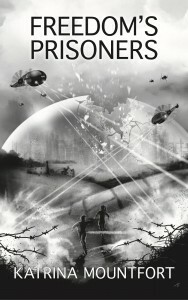 With skyships, rebels, intrigue and action, Reimar Breaking is a fantastic debut from Jonathan Rivalland, a South African now living in the US. 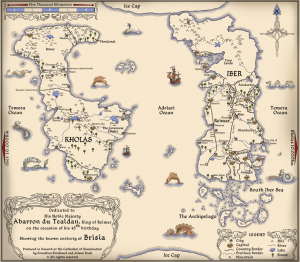 It also includes an awesome map! Reimar Breaking is out today in eBook formats on all popular platforms, and will also be available in paperback in November. We are delighted to be publishing Mandigo and the Hellhounds by Anders Reemark, translated from the Danish by Nina Sokol. It is available from today in eBook formats, and will be launched in a print edition at FantasyCon by the Sea in Scarborough in September. Originally published in Danish (as Mandigo og Helvedeshundene) by L. Stender e-books in 2015, we are proud to be publishing the English edition. Although the mediaeval setting and characters have a Scandinavian feel, Anders’ story itself is timeless, transcending national borders and cultures, and appealing to everyone. Readers in any country will empathise with Mandigo as his life takes sudden and unexpected turns, he discovers the truth about his own past, and starts to fear for his future and that of everyone he loves. 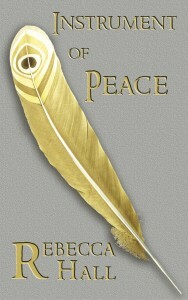 Instrument of Peace, the first book in the Symphony of the Cursed series by Rebecca Hall is available from today as an eBook. The paperback edition of Instrument of Peace will be launched at FantasyCon by the Sea in Scarborough in September. The eBook is available on all popular platforms (click here for details and links). 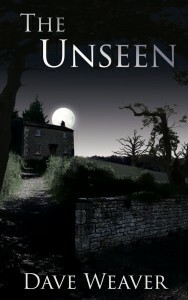 The Unseen is now here. Are you brave enough to read it? 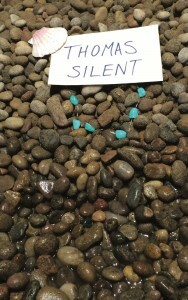 On Risingshadow, Seregil of Rhiminee has reviewed Ben Gribbin’s novel Thomas Silent, or, Why there are no more mermaids. When he started to read it he found it to be such a “compelling and entertaining fairy-tale-like story” that he read it in one sitting, and by the end “I could only think of what a fine and absorbing story I had just read” he says. At the start of his review Seregil describes it as a “good old-fashioned yet modern fairy-tale adventure which is told in a heartwarming and pleasant manner”, adding that it will delight readers of all ages. Ben has, he says, “created his own original vision” of mermaids in an “irresistible” novel, adding that it is such an interesting version of mermaids and mermen because “he writes about people who live in a parallel realm, but sometimes visit our world”. 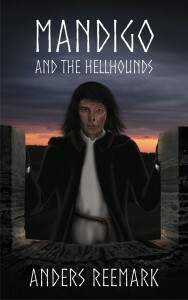 Although Thomas Silent may appear to be a young adult or children’s fairy-tale, Seregil says it “transcends the normal boundaries” of such fiction by being a story that also attracts adult readers. 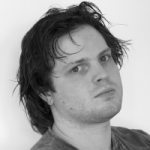 Tom is a classic heroic protagonist who will appeal to young readers. As well as being an adventure story it’s also a ‘coming of age’ story as Tom discovers who he truly is and what he must do, and as such will appeal to older readers too. In conclusion, Seregil says that he hopes to read more from Ben Gribbin and recommends Thomas Silent as an adventure for the whole family. It has, he says, a simple beauty and “captivating allure” that will charm readers of any age who have “a child-like fascination with fantasy stories” as it takes them on a “magical journey to a parallel realm”. You can read the whole of Seregil’s review here.